Argentina demonstrating the simplified shot selection system known as the Count Method. That seems like a simple statement and an easy concept to grasp. However, many players and coaches have trouble instilling the “catch to score” mindset into their players and teams. 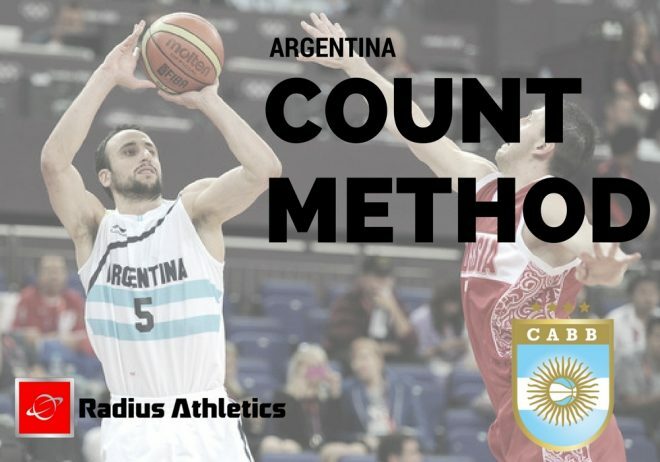 In the video below, Argentina demonstrates the Count Method as described in the book Rhythm Offense by Ryan Smith. In the video, Argentina demonstrates One Count shots and layups off drive and kicks, ball screens, transition and more! This video will help coaches and players see the importance of shooting with an advantage, using the advantage and moving the advantage to an open teammate.